5260S- Steel, 525cc -XC ATV 2008. 520 Chain. 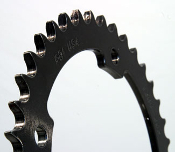 Our Products >> Steel Rear Sprockets, USA >> 5260S- Steel, 525-XC ATV 2008. 520 Chain. 5260S- Steel, 525-XC ATV 2008. 520 Chain. 5260S- Steel, 525cc -XC ATV 2008. 520 Chain. Available in 36 through 40 teeth. Ships in Silver Zinc finish. Steel Rear Sprockets, made in USA. * Select 36 Tooth Steel. 37 Tooth Steel. 38 Tooth Steel. 39 Tooth Steel. 40 Tooth Steel.